The lot features a Sioux Native Ameircan Indian fully beaded awl case dating to the 19th Century. The case shows a parfelche lining that is covered in Indian tanned hide and accented by period correct early glass trade seed beads sewn with sinew. The beadwork shows a wonderful geometric linear pattern in sky padre blue, red white-heart and semi-transparent green. At the opening is a fancy beaded fringe with faceted and seed beads in a black color with a matched beaded top loop. The base shows three Indian hide fringe with iridescent seed beads and nine cobalt blue wound glass early trade beads. The case would have held a bone awl, a slender pointed tool that allowed the user to puncture thick hides such as Buffalo. The case shows very good overall condition and an early age. 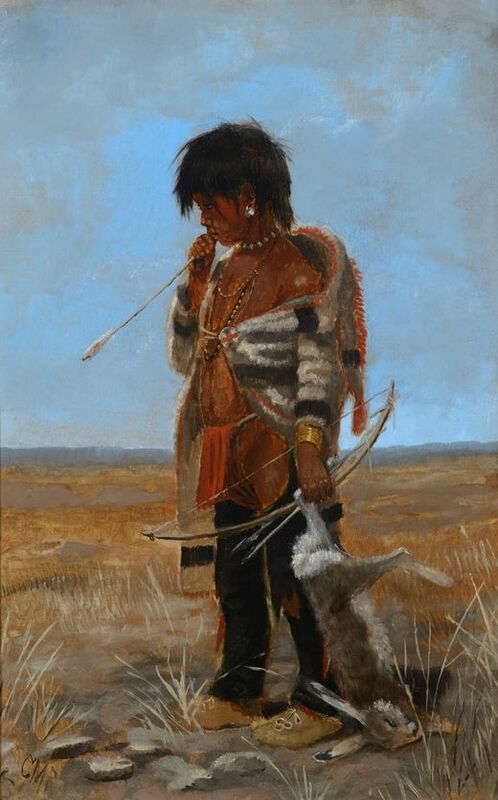 From a large Cowboy and Native American Indian collection in Montana. Measures 10" x 1".